One of the big problems in Hawaii is that there are limited opportunities for work. There are specific industries that do well on an island – and there are few of them. The military provides a lot of jobs, and the major industry in Hawaii is of course, tourism. If you’re having trouble finding a job that will enable you to move to Hawaii, or if you’re already living in Hawaii and you don’t feel like your current job is either too stable or just what you envisioned doing for the rest of your life (handing out flyers in Waikiki for instance)… read on. Since I left high school in 1984 I’ve worked many different jobs – and nothing has ever come close to what I’m experiencing now – working from home. I’ve worked at home for about twelve years of the last thirty. About 30% of my working life. I intend it to be the same for the next twenty-five years too, I probably don’t have to tell you. Working at home on projects I choose is an amazing freedom that I wish everyone could duplicate. Many of you can, but you need a push to get out and do it. First off you probably need training in something or you’d already be doing your home based business. Training will enable you to get away from your current “working for the man” status and create a startup business that’s yours and that you will spend the next couple decades making “work”. I’m working on some training projects now over at my business startup and ebusiness training site, www.IncZen.com and my goal is that it helps people gain the needed skills for getting away from “jobs” and getting into creating their own company and working from home. Those are some of the initially planned topics. I want to give technical expertise as well as ideas for what kinds of activities you could get started in today in order to create income while living in Hawaii. Living in Hawaii gives you an incredible jump-start over someone living in Iowa for instance. There are opportunities that you have for creating something amazing that people in Iowa don’t have. Hawaiian tourism will return – it can’t NOT return to such a mind-blowing place. When it does – what can you have in place to capitalize on those millions of visitors? There are a number of other places you can start getting up to speed on technology topics and how to get started in your home based business. My friend Randy has a home based business site that is jam-packed with very helpful tips on how to get started and maintaining your home based business. Have a look there and see how many articles you can read today about it. Many people aspire to build an online store. I have many friends that have built very successful lifestyles selling their favorite Hawaii products. You could too! With today’s advancements in technology and communications, you can get your own online business up and running in a breeze. Living in Hawaii and working at home must be two of the ultimate ways possible that we can live our lives. If you’re already living in the Hawaiian islands – you’re halfway there. Go the rest of the way and figure out a way you can work from home. There are hundreds of possibilities you can choose from. Get started now and do something every day to get toward the goal of working for yourself and working at home. Your outlook will improve. The satisfaction you feel inside will skyrocket. The time you have to do things that you cannot do now tied to your traditional job will open right up. What good is living in Hawaii and working ten hours daily for someone else? 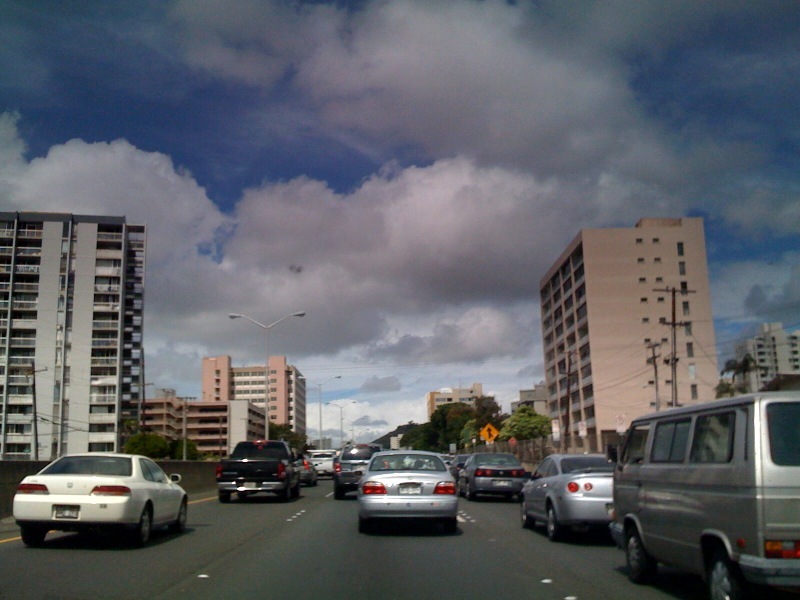 It’s not uncommon in Hawaii to work two and three jobs – including weekends. It ends when you start moving toward a goal of distancing yourself from all of that. It ends when you start doing something every single day toward getting away from that life style. It ends when you say it ends. Move to Hawaii to Teach? Moving to Hawaii? Use Twitter. Want to Change Your Life? Move to Hawaii! I am interested in your home-based business courses. Have you started to offer them yet? I am interested in your classes, website, etc. please keep me updated!